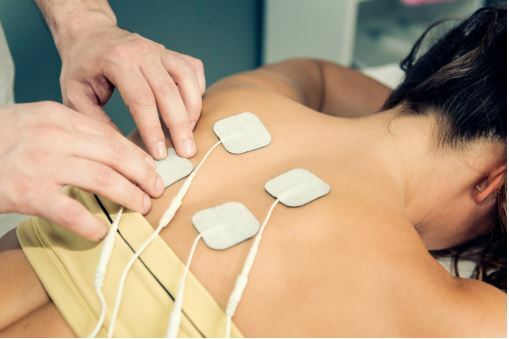 TENS units are excellent for treating lower back pain, but they aren’t the easiest therapies to use. When you use your TENS unit improperly, you put yourself at risk for serious side effects. But when you use your TENS unit the way it’s meant to be used, you’ll experience lower back pain relief like none other. In this article, we’ll explain how you can treat your lower back pain effectively with your TENS unit. You’ll get a step-by-step process for using the unit that should be generalizable to any unit or protocol that you desire. Before you can use your TENS unit, you’ll need to get it ready for treatment and ensure that it is in working condition. Before you even begin this first step, you should identify the protocol that you want to use to run the unit. Different protocols have different current frequencies and intensities. Be sure to check with your manufacturer’s handbook to find the protocols that are the best for your unit and the kind of pain that you have. Whatever you do, don’t use a protocol that isn’t intended for back pain when you try to treat your back pain. Doing so will lead to subpar results, but it probably won’t aggravate your pain. In between uses, you’ll need to recharge your TENS unit and make sure that it is clean and ready to go for next time. Once you’ve located the right protocol, whip out the TENS unit. To prepare your TENS unit for treatment, you’ll need to verify that the unit’s battery is intact, operational, and charged. Turn on the unit and look at the battery meter. It should indicate whether it has enough charge for one run of a treatment protocol. If it doesn’t have enough battery, replace the battery and repeat the process. If your TENS unit throws any kind of error or the display fails to load completely, turn it off then on again. If there are still problems, you should send your unit in for repairs or potentially buy a new one. The key to a good TENS run is good electrode placement. Knowing a few rules of thumb about using your electrodes properly will save you a lot of trouble — and pain — in the long run. Remember, if your electrodes can’t send current through your body effectively, it can’t treat your pain. The purpose of each of these rules of thumb may not be obvious to you, but several of them are self-explanatory. The conductive gel is necessary to prevent the resistance of your skin from giving you shocks or burns. This is also why the skin must be dry. If your skin is wet, there will be more resistance, which will cause heating and subsequent problems, not to mention inadequate pain relief. Tumors, open wounds, and infected areas are all problems that your body needs to deal with alone. Passing a current through these areas will be painful, and may aggravate the issue. Electrical currents can stimulate cells to grow, and tumors typically have a different electrical resistance than the tissue around them. Likewise, breached skin gives the electricity a shortcut which will be painful for you. If you have any doubts regarding your electrode placement, you can look up helpful guides on Youtube. When all else fails, your physician or a nurse will be able to help you place your electrodes properly. Now that you’re prepared for your TENS run, it’s time to start. Set aside roughly 45 minutes for your entire TENS routine. Your TENS protocol itself will take about 30 minutes, and you’ll need a little time beforehand and afterward to prepare and clean up. You should stop using the TENS unit if you feel anything stronger than a gentle tingling when you are operating the TENS unit. If you feel any pain, you should turn the voltage down and try again. Immediately after your finish your TENS session, you may or may not experience pain relief. While it is likely that you will feel relief within 30 minutes, some people find that it takes a few hours for analgesia to be established. This is caused by the remaining excitability in your sensory neurons which must discharge their remaining nociceptive state before relaxing to be less painful for you. If your pain sticks around, you should play with your electrode placement. The problem with TENS is that people’s bodies are considerably different, so it is easy to miss the perfect electrode placement by a hair. Because your nerve fibers are so thin, there is a high chance of missing at least a few of the fibers you are targeting with the treatment if you are only starting to learn about electrode placement. But what if your pain doesn’t reside even when you change your electrodes several times? You may want to alter the intensity or the frequency of your TENS unit. If you want to alter the frequency, that can be another good way of changing the results that you are getting. The frequency of the TENS unit refers to the speed at which the unit sends electrical pulses to your body. Your nerve fibers respond to rhythmic pulses but they may not necessarily respond to the same rhythmic pulses as everyone else’s. So it can make sense to cause faster cycles or slower cycles. Generally altering the frequency of your TENS unit pulses will not cause any major changes in comfort or discomfort, so you can adjust it with a little bit more freedom. Over the course of a week or two of daily TENS sessions, you should notice your pain start to drop precipitously. Your neurons will become accustomed to a lower level of activation and thus they will be less prone to aggravate you. Once you notice your pain start to reliably draw down, you will need to moderate your TENS usage. While there is not any case of it documented in the scientific literature, some scientists suspect that it is possible for treatment resistance to develop with too much TENS use. So you should only use it when needed. Previous Post In-Depth Review Of The ET-7070 iReliev TENS Unit Next Post What Are The Best Posture Correctors In 2018?